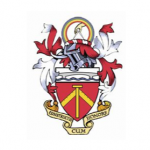 The Worshipful Company of Constructors is committed to publicising its good works and its Publicity and Events sub-committee is charged with agreeing and managing the Company’s communications policy. We are also committed to providing information for both our members and for anyone else who is interested in the Company and its role in the life of the City of London. The Publicity and Events Committee is responsible not only for this website but also for our annual journal “The Constructor”, for the majority of our internal communications, including flyers for events and the quarterly Newsletter. In addition we recognise the importance of the use of modern social network media and we have a presence on Twitter and Linked-in, where there is a Constructors’ Group. the annual journal, which is distributed to each member in hard copy and is also widely circulated among the City of London community. this website, which has two principal purposes. Firstly it is our shop window for everyone, detailing our calendar of events and news reports of our activities. Secondly, in the members’ area, it provides up-to-date information about the Company that members might find both informative and interesting. The recent issues of the Journal and the Newsletter are available through the relevant pages. But for the most up-to-date information on the Company and its events this website is a key component in our communications strategy, and we welcome all to it. We also welcome our members to the members’ only sections wherein will be found much more detail on our history, traditions and Company life.